North Carolina A&T’s historic 2019 regular season will not go unrewarded as it will participate in the 2019 WNIT. 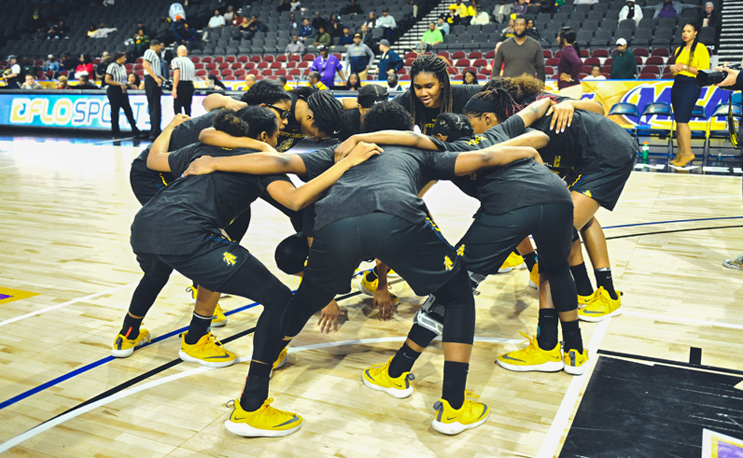 North Carolina A&T State, the 2018-19 Mid-Eastern Athletic Conference (MEAC) women’s basketball regular-season champion, will compete in the 2019 Postseason Women’s National Invitation Tournament (WNIT) with a first-round game at James Madison on Friday. The Aggies went 16-0 in MEAC play for the first time in program history this season and head into the WNIT with a 20-11 overall record after falling to Norfolk State in the semifinals of the MEAC Tournament. Their regular-season title afforded the Aggies the automatice WNIT bid. James Madison (25-5) went 17-1 in the Colonial Athletic Association (CAA) this season, but fell in the quarterfinals of the conference tournament to Hofstra on Thursday. Kamiah Smalls leads four players in double figures, averaging 16.0 points per game.